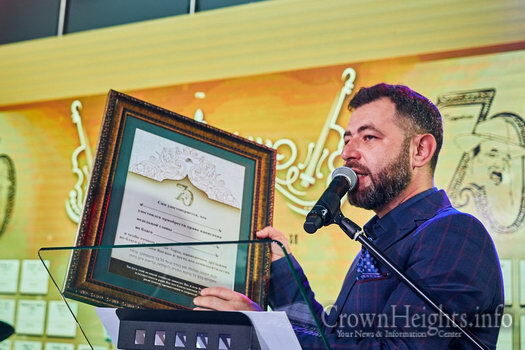 A special Torah is now being written in the merit of Moscow Shliach Rabbi Yitzchak Kogan, whom the Rebbe titled the ‘Tzaddik from Leningrad’ due to his Mesiras Nefesh there during the dark days of the Soviet Union. 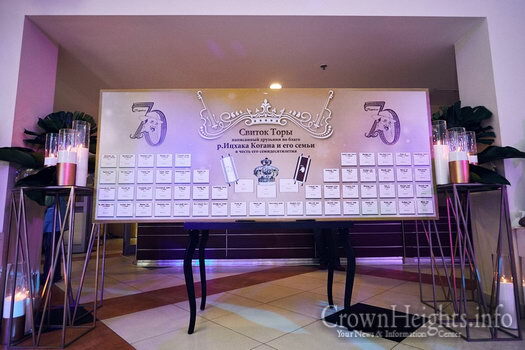 The Torah scroll was started in honor of his seventieth birthday. 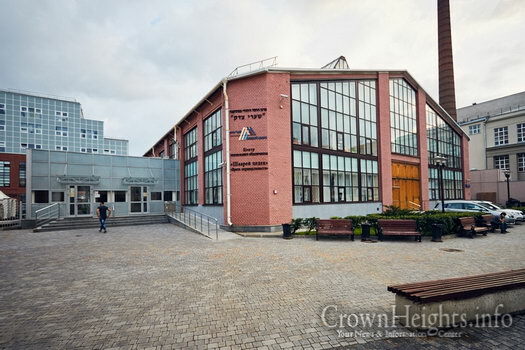 This special project was initiated by the many Chesed organizations in Moscow, as a token of appreciation to Rabbi Kogan who unwaveringly supports them all year, both morally and financially. 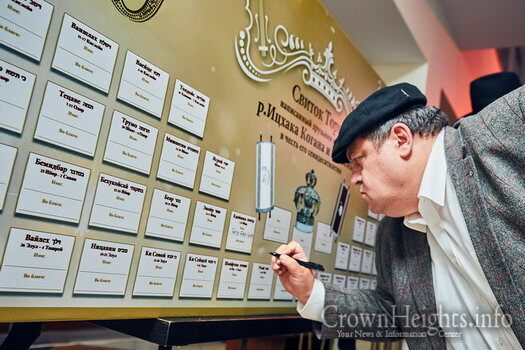 The first letter was written by Chief Rabbi of Russia, Berl Lazar, at an impressive ceremony that was held this summer at the Shaarey Tzedek Chesed Center in Moscow with the Kogan family and friends in attendance. 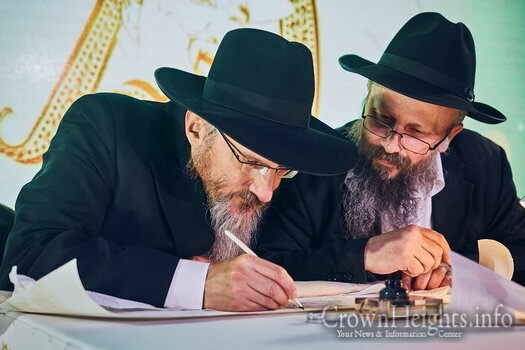 The Torah scroll is being written in the Alter Rebbe’s ksav, with utmost hiddur, by a professional and G-d fearing sofer stam from Moscow, who regularly attends the “Tefila LeMoshe” shul at the Chesed Center. After receiving many requests from the public, it is now possible for anyone who wishes to participate and sponsor a parsha in this special Torah and to dedicate it in honor of a birthday, anniversary or yortzeit. 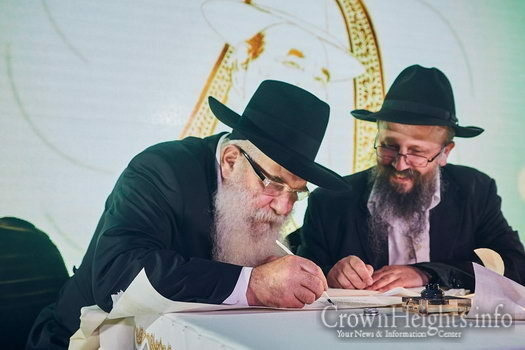 Participants who are sponsoring a parsha will be able to join a Chassidic journey to the Ohel of the Holy Baal Shem Tov in Mezhibush where the Siyum Sefer Torah will be held with great joy. As is customary, the Torah will be carried to the Ohel in a special procession, followed by a lavish seudas mitzva. 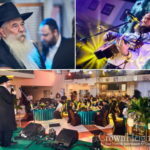 The Chassidic trip to the kevarim in Ukraine includes sleeping arrangements as well as all meals. 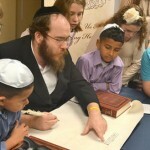 Participants in the writing of the Torah will also receive a special certificate. 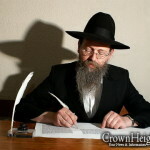 To sponsor a parsha write to: gmach@jewish.ru.